Made of durable ABS plastic this MP5 has a built in suppressor and retractable stock to allow for easier maneuverability in CQB. 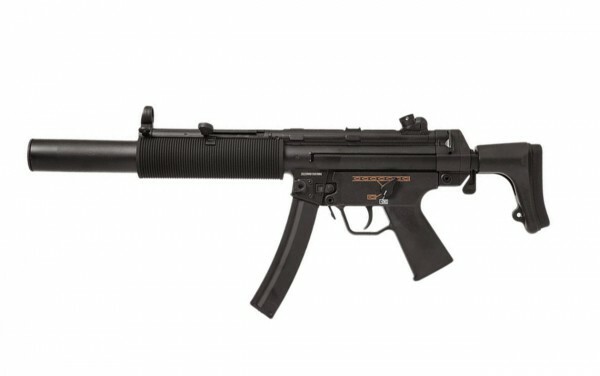 A very popular model in airsoft and an excellent starter gun for someone looking for something a bit different. It comes with one high cap magazine and battery.